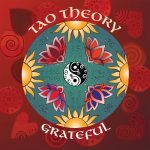 Tao Theory creates New Acoustic instrumental music inspired by our love of nature and the complexity of the human experience. 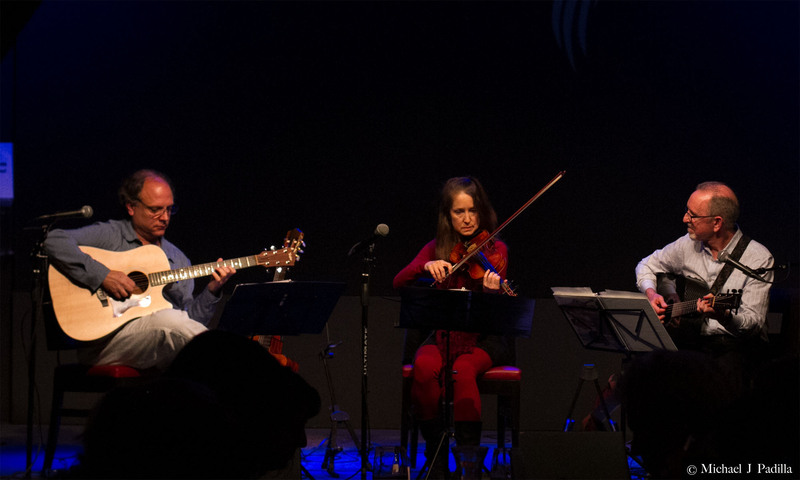 Our music is influenced by our diverse backgrounds in classical, folk, rock, jazz, and Celtic styles, and shaped by our imaginations and love of diverse cultures. We love to provide an uplifting and transforming experience for our listeners. Our new CD is finished! It’s available for preview and purchase on CD Baby. We’re also very grateful to our Kickstarter patrons who so graciously contributed to the funding of our CD. We couldn’t have done it without you, and your generosity and love inspired us to go over and over the recordings, preparing and polishing every little detail so you will be pleased with the results. We really like the way it turned out, and we think you will, too. You can buy Grateful on our CD Baby page. We’ll post links to other sites like iTunes where you can buy the CD or mp3s as soon as they are available. Susan and Greg met in the kirtan world and worked as a duo playing classical music, fiddle tunes, standards, and originals for a couple of years. They had great musical chemistry and made some wonderful music. Then Susan and Robert fell in love and began playing music together. When the three of us got together to play, a special chemistry of music and friendship revealed itself, and Tao Theory was born. Improvisation was easy together, and we immediately became fans of each other. Every time we got together to play, the core of a new Tao Theory tune emerged. A torrent of creativity has followed. We encourage each other to express our unique musical selves. We also gradually raise the bar individually and for each other. As time goes by, our friendship deepens, and we laugh about the absence of band drama. We play well together as musicians, bandmates, and friends. Our vision is to pass on to you the magic, love and creative spark that we feel every time we play. I’ve played music longer than I can remember. I started piano when I was 3, and by the end of high school I had performed on trumpet, tuba, guitar, bass, piano, drums, and voice. In college, I studied classical guitar performance and indulged fascinations with music theory and composition. I sang and played lute, theorbo, and viola da gamba in Early Music ensembles, played guitar in New Music ensembles, and played many programs of music for two or more guitars. I also played and sang pop songs in bars. After college, I performed and recorded in many styles, often as a sideman for songwriters and in dance bands. I played music for five seasons at The California Shakespeare Festival and toured for two years playing guitar for Cirque du Soleil’s Dralion. I’ve also recorded several hours of original material. I’m fond of very elaborate musical arrangements. These days I perform with many kirtan groups, including Jai Uttal, Mukti, Ananda Rasa, Radiance Kirtan, Mirabai, and Acharya Mangalananda. I also perform with The Raphael Duo, an experimental, all-improv collaboration of guitar and cello. I feel that my main purpose in this life is to create and perform beautiful music that expresses love, joy, gratitude, and the Divine. In Tao Theory, I can express myself very authentically. Susan and Robert are a joy to work with because they encourage me to be my musical self, while still occasionally making suggestions that, when I listen to them, make me a better musician. Growing up, our home was always full of music. Our family sang barbershop and show tunes together every evening after dinner. I started playing violin at the age of seven and studied classical music for many years. At fifteen, I decided to put down the music and learn to play by ear, inspired by Stephane Grappelli and gypsy jazz. My sister and I delighted restaurant crowds as teens with vocal harmonies and guitar and violin accompaniment. 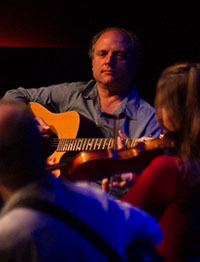 The highlight of my college music career was playing the Bach Festival at Kennedy Center in D.C. Years later, I studied bluegrass and old-time fiddle music with Chad Manning from the David Grisman Bluegrass Experience. I love the joyful, down-to-earth nature of the traditional tunes. I play with several kirtan bands around the Bay Area which feeds my soul and is a spiritual practice for me. I see that my playing has a healing and heart-opening effect on people and is a gift that I am blessed to share to inspire and uplift others. 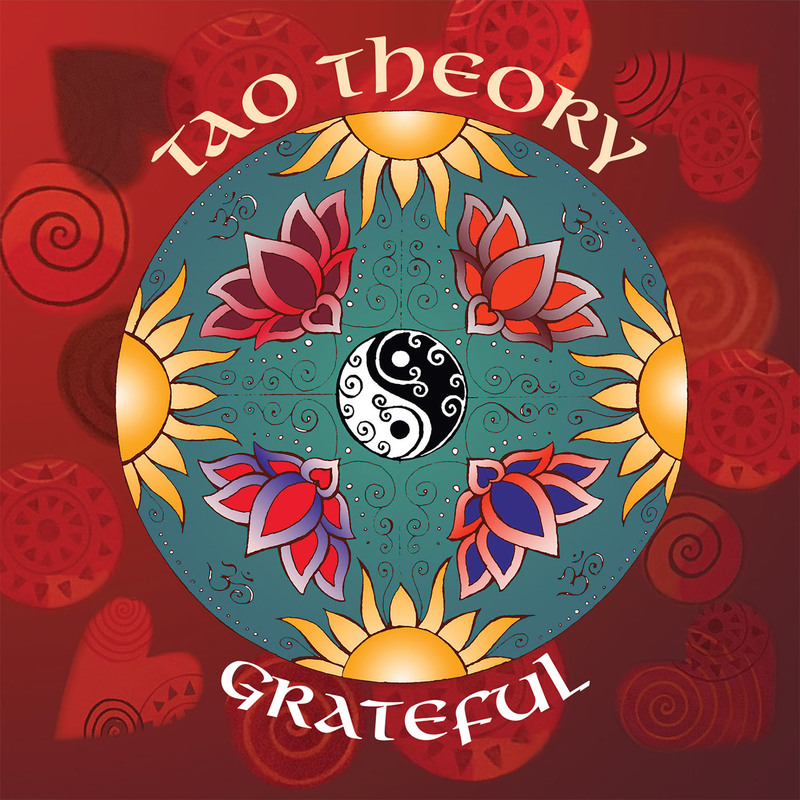 Tao Theory is a cherished vehicle for my creativity, and playing with Greg and Robert is a true joy! My dream to become a musician began August 29, 1966. I was 15 years old and working at Candlestick Park in San Francisco when the Beatles landed in a helicopter in center field. I witnessed them playing what would be their last live concert in the U.S. I began learning the guitar and bass, soon playing rock & roll in my neighborhood garage band. 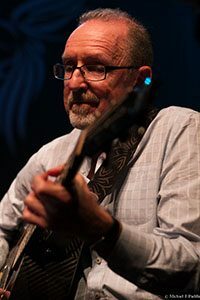 In college, I entered the School of Expressive Arts at Sonoma State University and continued playing in bands, duos and solo gigs in Northern California. I began songwriting in the 1990s and have deepened my improvisational skills over the last decade. Meeting Susan Shloss opened the door to play with an incredibly talented violinist and her music partner, guitarist extraordinaire, Greg Barnett. I am grateful for the opportunity to express myself musically and feel the abundant grace of creativity flow with each new tune. Come spend a couple of hours in the Tao House living room while we take you on a sweet musical trip. We will be performing 5 brand new original pieces, plus some of the tunes from our CD, Grateful, plus some old pieces we haven’t performed in a while. It’s all fresh. 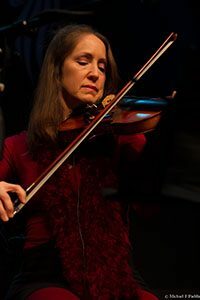 Our music is a mix of classical, folk, and fiddle tunes, with a dash of jazz, rock, reggae, and general fanciness, written and played with love.